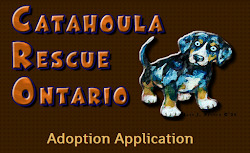 Catahoula Rescue-Ontario: Meet Romeo ADOPTED! Romeo is a gorgeous 1-1/2 year old male Catahoula mix. Romeo is playful, gentle, soft, and always eager to please, which makes him highly trainable. Romeo loves everyone, including dogs and cats. He is an affectionate boy that loves to cuddle and getting belly rubs. He loves everyone he meets and everyone falls in love with him. At first we debated changing his name, but after getting to know this sweetheart, we realized the name fits him like a glove. He will be your best friend and be there to keep you company. He likes to receive hugs and tries to give them back. He is most happy when he's with canine companions. That is also when he is the most playful and the only time you hear him occasionally bark. He’s otherwise very quiet; the most noise you’ll hear from Romeo will be his tail wagging because he’s happy to see you or a yawn after a nap. Romeo would love a home with canine companions or who will bring him for regularly play dates with other dogs. 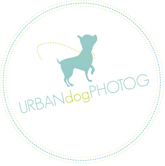 He can sit, give paws, lie down, and come or go on command and is trained to do his business outside. He is left in the house uncrated when his foster family is away and does not chew and is calm until they return. On walks, Romeo has to introduce himself to every dog or human in his sight, as well as smell every scent along the way. This social boy is still learning how to walk calmly on the leash as he pulls quite a bit, however, with the use of the no-pull harness he walks much better. With some training this will improve greatly. At the dog park, you will see him in his element. If he were a human, he would be a fantastic football player. He is quick and agile when playing with other dogs; smart too, fakes one direction then goes the opposite. Loves to be outdoors – in the water, mud, grass, rain, or shine, this guy is just happy to be outside with his family. Romeo stayed temporarily in a home with cats and did well. He once even let a kitten come up and grab some of his food right from his food bowl as he ate! Romeo deserves the most loving home, with all the attention a family can give. He’ll be by your side and is a delight to have around. Romeo is neutered, up to date on his vaccines, heartworm tested (negative), and on heartworm preventative. He’ll be microchipped prior to adoption.